In My Perfect Ex-Boyfriend by Annabelle Costa, we meet Bailey, a recently divorced single mom with a precocious six-year-old daughter. Ten years ago, Bailey walked out on the love of her life after a terrible accident and she has regretted it ever since. Her dad is remarrying and they’ve all been invited to spend the week at a cabin to get to know each other. Her father’s fiancée has a son – Noah – and Bailey knows exactly who he is. The man she dumped. Does he hold a grudge? He sure does and there is a very big reason why. Noah isn’t quite the man he used to be and sparks are about to fly. Can they rekindle what they once had or are all bets off? 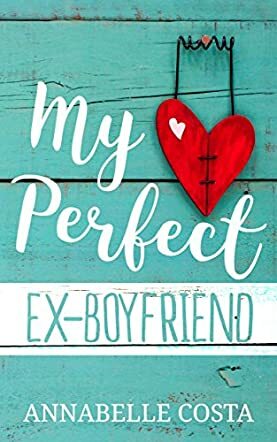 My Perfect Ex-Boyfriend by Annabelle Costa is a lovely story that deals with disability, divorce and new relationships in a great way. It is a somewhat predictable story line but it has something that many other stories don’t have. Instead of giving you all the facts up front, Annabelle leads us on a story that flits between the present and the past, gradually teasing out the details of the story and this makes you want to read it; you have no choice if you want to know what happened all those years ago – and I did want to know. Annabelle has written a wonderfully perky, funny and bittersweet tale of love gone wrong and new beginnings. This is a great story to read when you want to lose yourself in someone else’s world for a few hours; you won’t put it down.